223 / 5.56 Once Fired Brass Tumbled and cleaned to a shine. All defective brass was sorted out. Order Two bags and you will receive 200 brass cases (2 bags of 100pc each). These 5.56x45mm NATO cartridges are identical in appearance to .223 Remington. They are, however, not completely interchangeable. While the 5.56mm NATO and .223 Remington cartridges and chamberings are very similar, they are not identical. The NATO specification allows a higher chamber pressure. NATO EPVAT test barrels made for 5.56mm NATO measure chamber pressure at the case mouth, as opposed to the location used by the United States civil standards organization SAAMI. The piezoelectric sensors or transducers NATO and SAAMI use to conduct the actual pressure measurements also differ. This difference in measurement method accounts for upwards of 137.9 megapascals (20,000 psi) difference in pressure measurements. 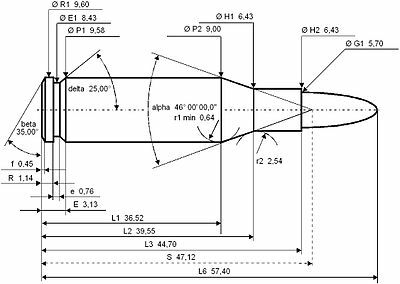 This means the NATO EPVAT maximum service pressure of 430 megapascals (62,000 psi) for 5.56mm NATO, is reduced by SAAMI to 379.21 megapascals (55,000 psi) for .223 Remington. In contrast to SAAMI, the other main civil standards organization C.I.P. defines the maximum service and proof test pressures of the .223 Remington cartridge equal to the 5.56mm NATO. .223 / 5.56mm Once Fired Brass DePrimed Brass. Brass was Deprimed and ReSized. .223 / 5.56mm Once Fired Brass Fully Processed Ready to reload..
Cleaned and tumbled in SS Media to a shine.